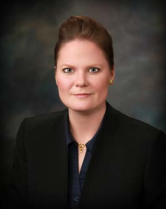 (LANCASTER, Calif. – March 1, 2017) — Colette Menzel, Ph.D., has been named chief financial officer of Antelope Valley Hospital (AVH), effective immediately. She replaces former CFO Paul Brydon who came out of retirement in early January to serve in an interim capacity while the search for a permanent CFO was taking place. In keeping with the leadership team being assembled at AVH, Menzel has strong ties and great affinity to the local community. She is currently a member of the Antelope Valley Boys and Girls Club (emeritus board of directors), the Antelope Valley Board of Trade and the Lancaster West Rotary. Menzel brings to AVH a diverse background in finance and operations and has worked in leadership roles in industries ranging from professional services to ecommerce to technology. For the past six years she has served as vice president of finance for Corra, a digital ecommerce agency with offices in New York, Los Angeles and London. Menzel earned both a Ph.D. and a Master of Science degree in organizational management and leadership from Capella University. She holds a Bachelor of Arts degree in political science and finance from Westmont College and is currently working toward completing a Master of Science degree in finance from Harvard University. Antelope Valley Hospital, a 420-bed district hospital located in the city of Lancaster in northern Los Angeles County, has been serving the community for more than 60 years. The area’s only full-service hospital, AVH provides a full array of medical/surgical services, pediatric treatment, NICU, mental health, cancer care and more. It is a Level II trauma center, Accredited Chest Pain Center, Advanced Primary Stroke Center, and a National Comprehensive Community Cancer Center. More information is available at www.avhospital.org or by calling 661-949-5000. Follow us on Facebook at facebook.com/antelopevalleyhospital.